The Chicago Blackhawks and St. Louis Blues have no love for one another, even if half of both rosters are new. They combined for a total of 83 hits...in a preseason game. The Hawks won the game 3-1. Brandon Mashinter cut the legs out from under Colton Parayko. David Backes (still a fill i the blank) rails 39-year old, Lubomir Visnovsky. Even Niklas Hjalmarsson made a run on a St. Louis player. St. Louis got on the board first with a power play goal from Joel Edmundson on a nice cross ice pass from Ty Rattie with 1:05 left in the 1st period. The Blackhawks tied the game midway through the second on a power play goal by Marian Hossa who received a nice feed from Jonathan Toews. The score stayed that way until Patrick Kane disrupted a pass and scored on a back-hander on a breakaway to give the Hawks the lead, 2-1 with just under six minutes remaining in the game. Just over two minutes later, Duncan Keith scored on a rising shot that St. Louis goaltender, Jake Allen could not see thanks to a screen from Toews to put the Hawks up for good, 3-1. After regulation was over, the two teams played a 3-on-3 overtime period. The NHL is experimenting with this new format to see if they want to change how overtime is played. Personally, this is a no-brainer. It brings excitement to the game and will hopefully prevent a lot of games having to go to a shootout. 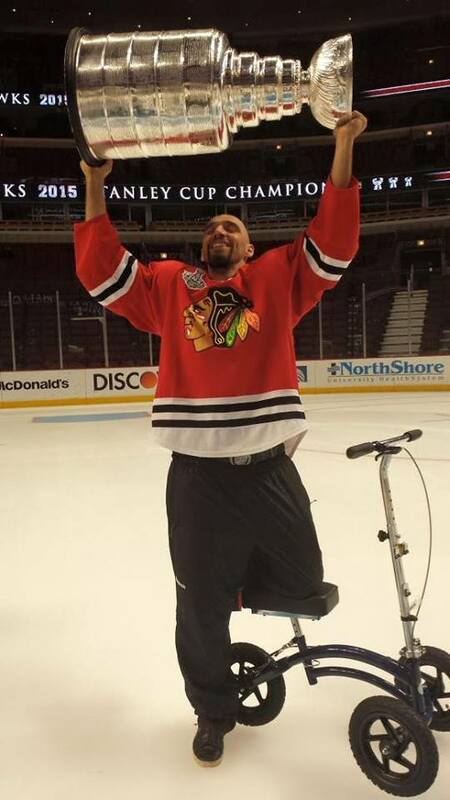 In the OT, ex-Blackhawk Troy Brouwer, slipped one past Corey Crawford. Noteable mentions: Ryan Garbutt continues to be one of the best Hawks this preseason by being a presence all night long, doing time on the power play and the penalty kill. He also had 6 shots. Hossa and Keith both had a goal and an assist. Brent Seabrook, off of his new contract extension, lead all players with ice-time with 23:25. He also had 4 hits and 3 blocked shots. The Chicago Blackhawks and defenseman, Brent Seabrook, agreed today to an 8-year, $54.8 million contract extension with a $6.85mil cap hit. 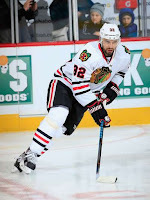 Seabrook, 30, has spent his entire 10-year career with the Blackhawks and will be under contract for the next 8 years. Seabrook, was just christened to wear the "A" on his sweater as alternate captain now that Patrick Sharp was traded to the Dallas Stars earlier this summer. With a year still remaining on his current contract ($5.5mil cap hit), one would think that the Hawks would do whatever they could to keep him around for a long term deal. In his career, Seabrook has played in 763 games, with 318 points consisting of 71 goals (14 game-winners), 247 assists, and a +/- rating of +108. His leadership has gone unnoticed to the untrained eye, but if you ask anyone in the clubhouse, they will be the first to say that he is one of their biggest leaders to help bring the success that the Blackhawks have enjoyed over recent years (3 Stanley Cups in 6 years). Seabrook's contract extends to the end of 2023, which happens to be the same time teammate Duncan Keith's contract is slated to end. It only seems fitting since both started their NHL careers with the Hawks in 2005. Let's see if they can help Lord Stanley have his Cup make residence in Chicago for a few more years to come. 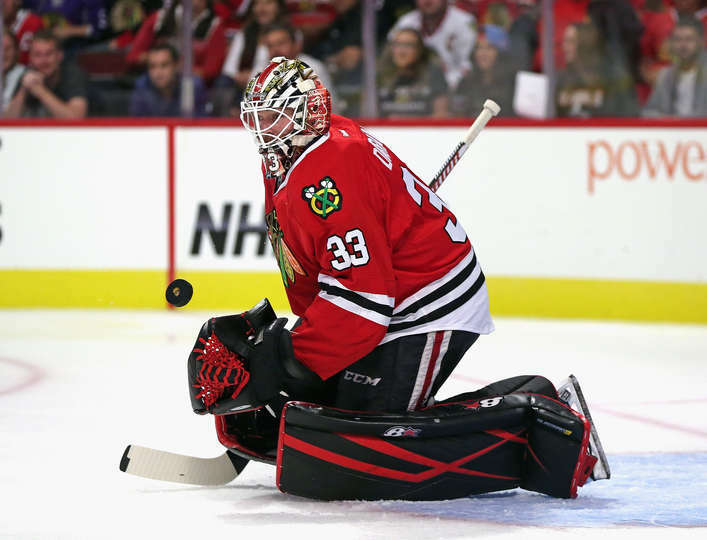 Kyle Baun had two goals and an assist and Scott Darling continued his sharp play by stopping 22 shots as the visiting Blackhawks skated to a 5-1 victory against the Montreal Canadiens. The Hawks scored three times in the first period and never looked back against last year's Vezina, Hart and Ted Lindsay Trophy winner, Carey Price. Ryan Garbutt got a stick on a David Rundblad slap shot and redirected it for his second goal of the preseason at 8:41 into the first period. Just under two minutes later, Baun made a nice feed to Garret Ross for an easy tip-in to give the Hawks a 2-0 lead. Just over three minutes later Baun picked up a loose puck and wristed it past Price to send the Hawks into the first period intermission with a 3-0 lead. Zack Kassian got Montreal on the board just 25 seconds into the second period on a back-hander to cut the lead to 3-1. But just 2 1/2 minutes later Andrew Desjardins threw a puck to the net and Baun redirected it past Price for his 2nd goal of the night and 3rd of the preseason and a 4-1 Hawks lead. Jan Hejda capped off the scoring with an empty net goal with just over a minute to play as the Hawks win big tonight, 5-1. Darling played the entire game and played well making 22 saves. He's now given up one goal this preseason in 45 shots. He made strong saves throughout the game and is seeing the puck well. Noteable mentions: Trevor Daley had another strong game with 2 assists, +2, and 19:36 TOI. Daniel Paille, although he didn't find the score sheet, was all over the ice and saved a goal in the third period. Defensemen, Viktor Svedberg had 5 blocked shots, and veteran Lubomir Visnovsky had 4 blocked shots. Hawks Outlast Red Wings in OT, 5-4. 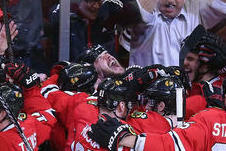 The Chicago Blackhawks started their pre-season Tuesday night against the Detroit Red Wings at the United Center. The Blackhawks jumped out to 3-0 and 4-1 leads, before allowing Detroit to come back to tie the game late in regulation. But in the new 3-on-3 overtime format, Trevor Daley deposited the game-winning puck into an open net to finish a 3 on 1 chance with a nice pass from Patrick Kane to give the Blackhawks a 5-4 win in overtime. Kyle Baun opened the scoring just over seven minutes into the first period as he knocked down a fluttering puck in front of the net to give the Hawks a 1-0 lead. Just over a minute later, Jonathan Toews' wrister from the slot whistled past Detroit goaltender, Jimmy Howard and giving the Hawks a 2-0 lead to end the first. Six minutes into the 2nd period, Teuvo Teravainen gave the Hawks a 3-0 lead with a wrist shot on the power play that went through the legs of Howard. Scott Darling picked up where he left off last year by being a stone wall as he stopped all 22 shots he faced. Darling was on his game and played up to the 10 minute mark of the 2nd period where he was relieved by Mark Visentin. Being pre-season, both teams switched their goalies at the half-way point in the game. Detroit got on the board with 5 minutes left in the 2nd period by a goal from Anthony Mantha who was left alone in the slot to cut the lead to 3-1. In the third, Ryan Garbutt put the Hawks up 4-1 early in the period on a nice individual effort on a turnover. From there, Detroit scored 3 goals, including the game-tying goal with 2:05 left in regulation on the power play to send the game to overtime. Daley then finished the game 1:40 into the extra session. Noteable mentions: Jan Hejda played 21+ minutes, was a +2, and had an assist. Daley and Garbutt, both, had a goal and an assist in their debuts in the Indianhead sweater. Center, Dennis Rasmussen, had a strong game and won 60% of his faceoffs while leading all Blackhawks with 2:43 of short-handed time on the ice. This morning, the Chicago Blackhawks agreed to a one year deal with returning NHL veteran Michal Rozsival. 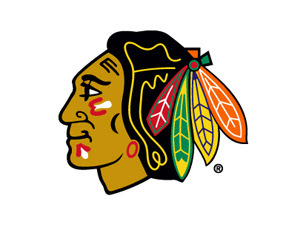 Rozsival comes back to wear the Indian head crest for a fourth year. Last year he played in 65 games, with 13 points (1G, 12A). Every fan realized how much his 17+ minutes a game were missed when he went down with a season-ending injury in the playoffs last year. He will provide depth for a team that learned their lesson on not having enough veteran defensemen to eat minutes when needed. He probably won't see the 65 games he played in the regular season last year, nor will he be as heavily depended upon when/if the Blackhawks make the playoffs this year. What he brings though is 15 years of NHL experience while being a two-time Stanley Cup champion. Something that any team, whether or not he plays every night or not, can provide tutelage to the younger players on the team. 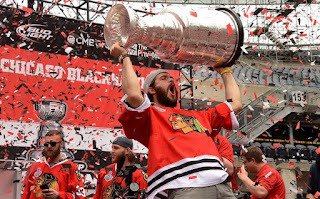 One day before the Chicago Blackhawks open their training camp at Notre Dame, the team announced that 11-year veteran, Brent Seabrook will don the "A" as the team's 2nd alternate captain this year. With the trade of veteran, Patrick Sharp to the Dallas Stars, there was a vacancy to fill the leadership position on the team. Seabrook, 30, has spent his entire career with the Blackhawks. He's played in 763 games, while tallying 318 points (71G, 247A) while averaging 22+ minutes a game. He's come to be known as Mr. OT and Mr. Clutch by some for his clutch goals throughout his career, especially in overtime. Of his 71 goals 14 of them (20%) have been game-winners. In one of the most incredible comebacks in NHL history on October 13, 2009, Seabrook wristed a game-winning overtime goal which saw the Blackhawks tie an NHL record by coming back from a 5-0 deficit. Calgary had taken a 5-0 lead after the first period. 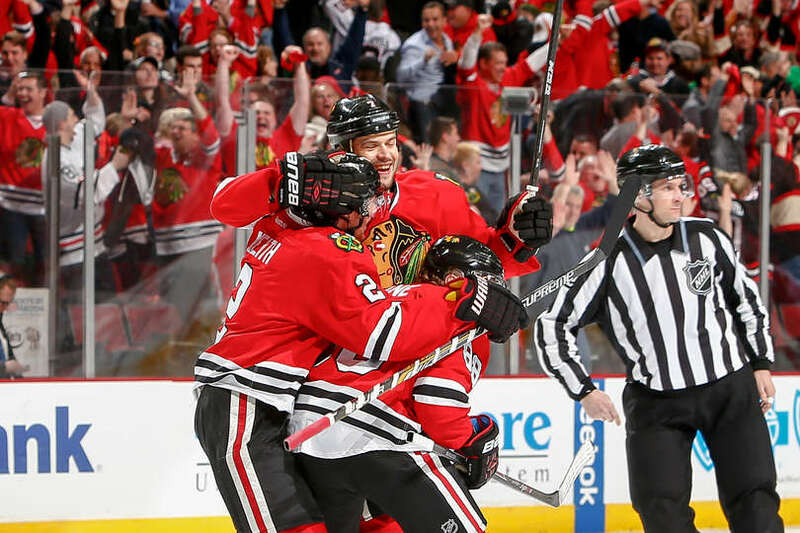 The Hawks battled their way back to tie the game at the end of regulation before Seabrook deposited the game-winner . On May 29th, 2013, he eliminated the dreaded arch-rival, Detroit Red Wings out of the playoffs with an overtime goal in game 7 of the semi-finals. 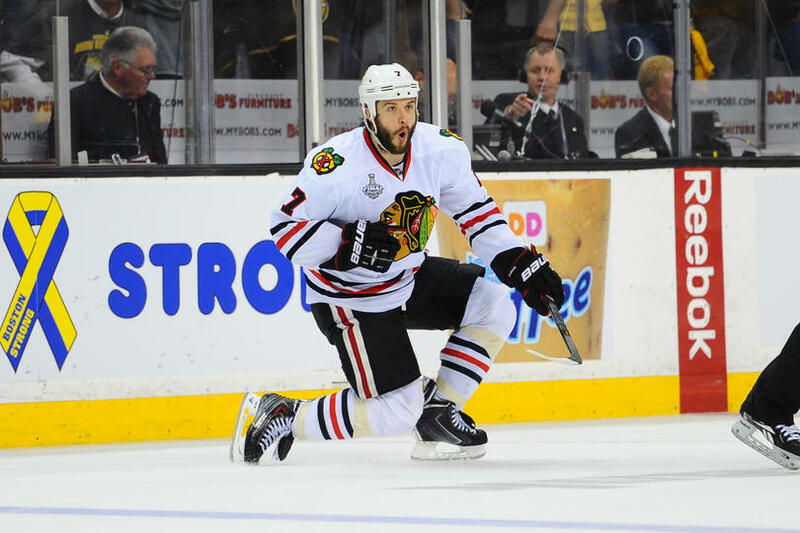 Seabrook played a very big role during that series as he helped keep Captain Jonathan Toews focused in a Game 4 loss to Detroit as Toews, uncharacteristically, took three 2-minute minor penalties within a 7-minute time period. After that game, which gave Detroit a 3 games to 1 advantage in the series, the Blackhawks came back to win out and complete the comeback. hole. 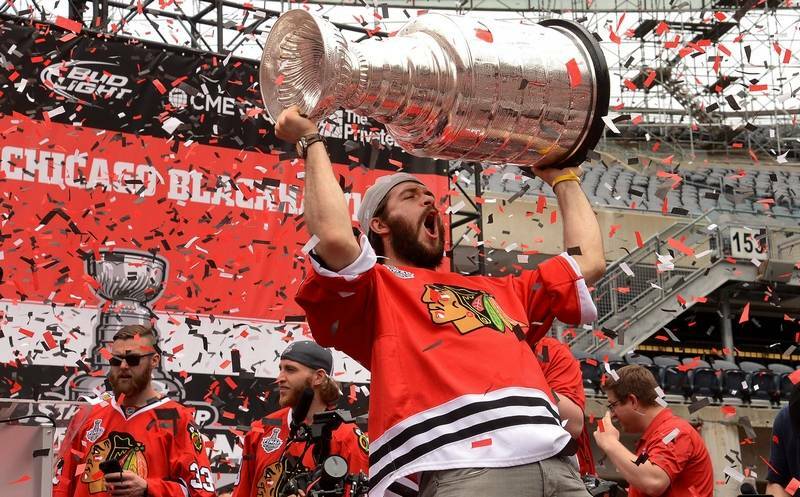 The Blackhawks would go on to win their 2nd Stanley Cup in 4 years. On April 21st, 2015, Seabrook helped the Hawks capture Game 4 against the Nashville Predators in the Quarterfinals with a 3-OT game-winner. He would go on to lead all defensemen in goals in the 2015 playoffs (7), in route to the team's 3rd Stanley Cup in six years. 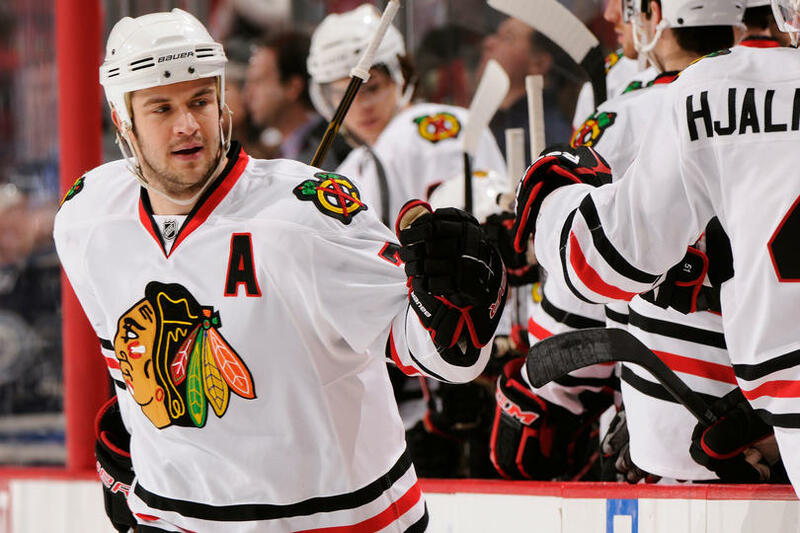 Seabrook was the Blackhawks' 1st round pick (14th overall) in the 2003 NHL Draft. He's been part of one of the top defensive tandems in the NHL with fellow alternate captain, Duncan Keith for his entire career. His leadership will be counted on this upcoming season with the loss of Johnny Oduya. 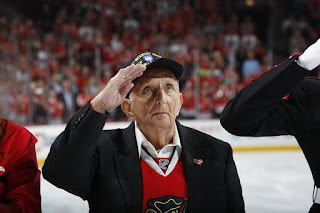 At today's press conference Seabrook acknowledged, "I'm very honored to wear a letter for the Chicago Blackhawks." Toews added, "For many years, he's been one of those guys that we can look up to and learn from. He's been a great friend and a great teammate. We know that won't change the way he does things, and he's been a huge part of our locker room and our success on the ice." Word from Chicago Tribune's Chris Kuc, is that the Blackhawks and Brent Seabrook's agent are discussing a long-term deal extension. Seabrook is currently in his last year of his contract. Fans will be pleased if an extension can be made considering the loss of many of the players that were on the roster last year. Stan Bowman will have to work his magic though considering the Blackhawks have 15 players signed with $12.5 million available for the 2016-17 season. If anyone can get a long-term deal done, it is Bowman. 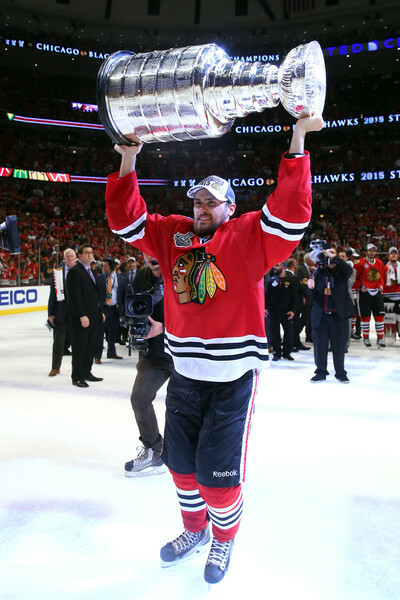 So a sincere stick tap and congratulations to our new alternate captain, Brent Seabrook. It's been an active 24 hours for the Chicago Blackhawks. First, they dump salary by trading away Kris Versteeg and Joakim Nordstrom. They then quickly sign Marcus Kruger to a one-year contract. Now, they've given NHL veteran defenseman, Jan Hejda a professional tryout with the team (PTO). A PTO is a 25 game contract. If a player is to be signed by an NHL team, they must first be released from this contract. Hejda, 37, if he makes the team, would give the Blackhawks a veteran defenseman to eat up many of the minutes lost by Johnny Oduya who was signed by the Dallas Stars back in July. Over his 627 game NHL career, Hejda has averaged over 21 minutes. Last year for the Colorado Avalanche, Hejda logged 20:39 minutes a game. Most Blackhawk fans had a rude introduction as to how important logging minutes to a defenseman is when Michal Rozsival went down with an injury in the playoffs last year. Because there was not a lot of depth in the defensive squad, Duncan Keith, Brent Seabrook, Niklas Hjalmarsson, and Oduya combined, averaged over 25 minutes a night (Keith averaged over 30 minutes). Not something that coaches want to rely on when trying to win a Stanley Cup. in Hejda's nine-year career, has played in 627 games, with 125 points (25G, 110A). 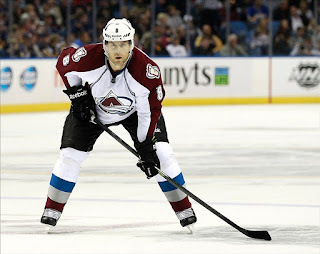 He is a dependable, stay-at-home defenseman and would bring experience and depth to this team. Let's hope it pans out for the season and possibly post-season for the Blackhawks and Hejda, who has only made it to the post-season twice in his career. The Chicago Blackhawks today traded Kris Versteeg, Joakim Nordstrom, and a third-round pick in the 2017 NHL Draft to the Carolina Hurricanes for defensemen Dennis Robertson and Jake Massie along with a fifth-round selection in the 2017 NHL Draft. The Blackhawks have been desperately trying to dump salary since the season ended and this was obviously another case of it. Shortly afterwards, Marcus Kruger was re-signed to a one-year deal. Versteeg, 239, finished his second tour of duty with the Blackhawks lasting 2 years while collecting 64 points (24G, 39A) in 124 games. 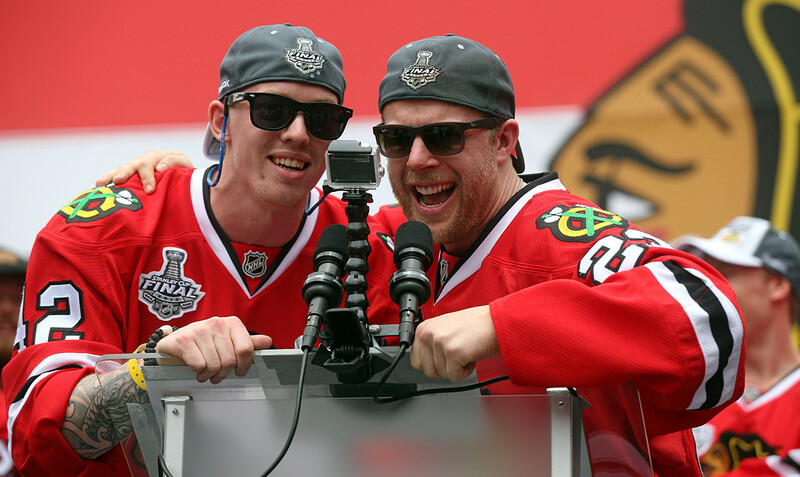 Part of the 2010 Stanley Cup champs, Versteeg collected his second Stanley Cup in 2015. Over his career with the Blackhawks, Versteeg had 156 points (68G, 88A) over 294 games. 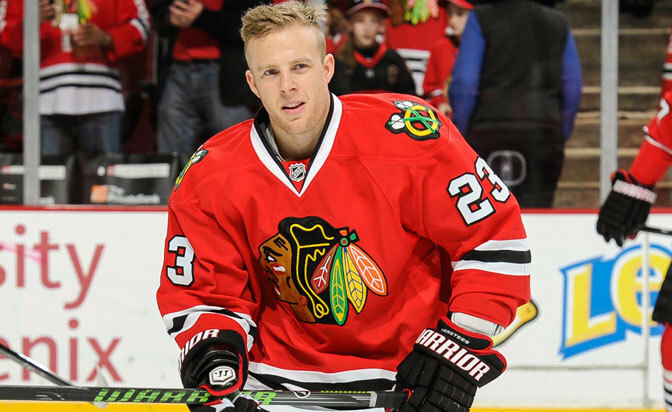 Joakim Nordstrom, 23, originally a third-round pick in the 2010 NHL Draft (90th overall), spent parts of the last two years with the Blackhawks having 6 points (1G, 5A) over 54 games. Nordstrom was mostly used as a penalty killer while playing on the 4th line. Robertson, 24, originally a sixth round pick of the Toronto Maple Leafs, in 2011, 173rd overall, played his first full season with Carolina's AHL affiliate, the Carolina Checkers, where he tallied 3 goals, 14 assists, and 70 PIMs over 57 games. In his four years at Brown University, Robertson attained 70 points (17G, 53A). 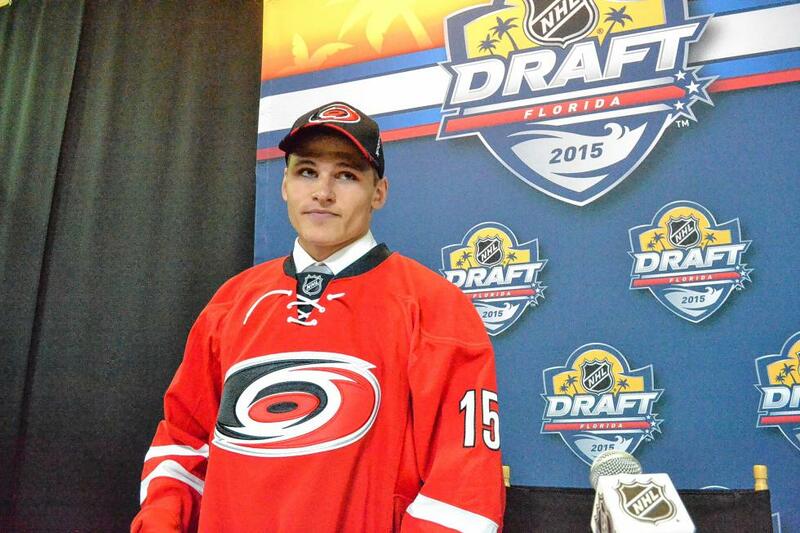 Massie, 18, was Carolina's sixth round pick in the 2015 NHL Draft. Marcus Kruger and the Blackhawks had an understanding and a trust to get a deal done. They did. It took all but nine days prior to training camp opening, but Kruger showed as much patience as one can in order to come back with the Blackhawks. Kruger is one of the best penalty killing forwards in the game. He undoubtedly had calls from other teams, but decided to come back. Originally there were talks of a long-term deal, but hopefully that can get done next year. OH! One more thing! 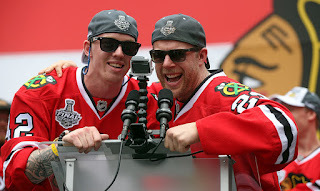 A warning to ALL current and future Blackhawks, if you decide to attempt your singing career during a Stanley Cup Celebration rally, you are most likely going to find yourself traded before the upcoming season. lol Versteeg, TWICE now, and Nordstrom. LOL! 25 DAYS TILL OPENING NIGHT!! !